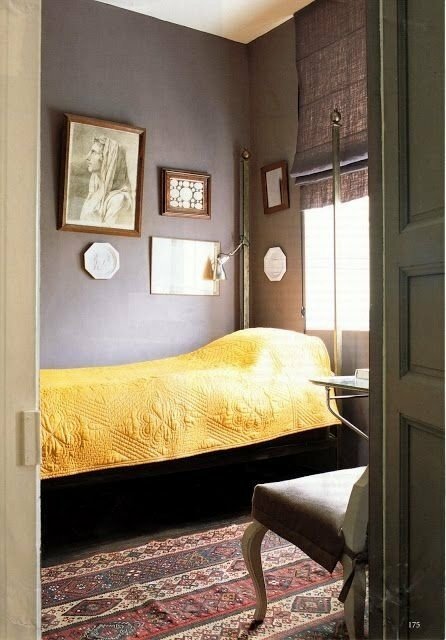 These 10 rooms will totally surprise you. Twin beds don't have to be juvenile—even if they're for the kids. We've rounded up a collection of ten rooms featuring sophisticated twin beds. 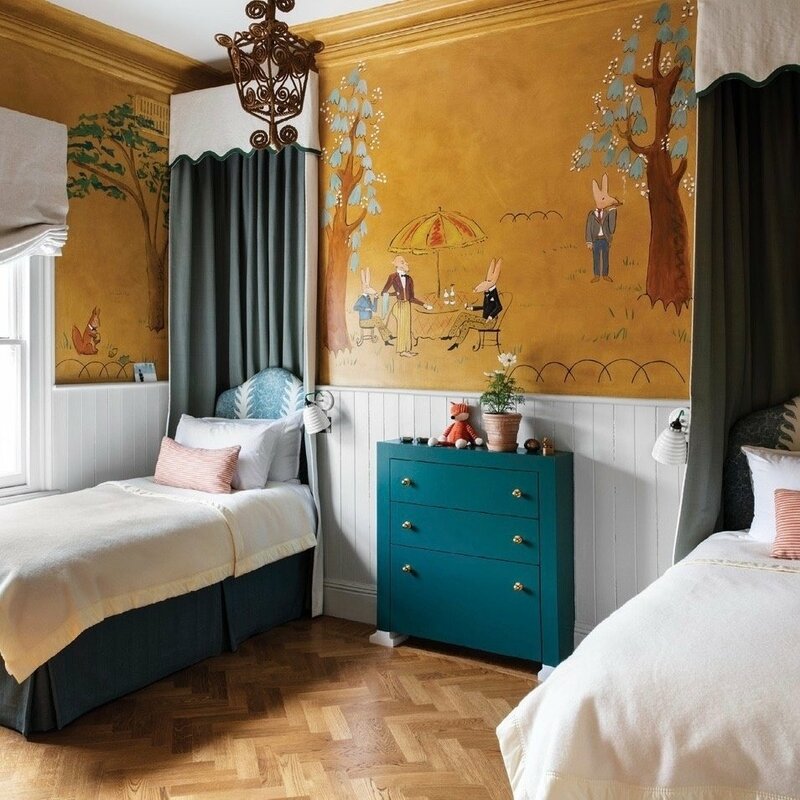 In this Brooklyn children's bedroom designed by Nick Olsen, a pair of blue velvet twins sits beautifully alongside the main star of the room: the wallpaper by Sandberg. Opting for a desk between the beds is also a great move. 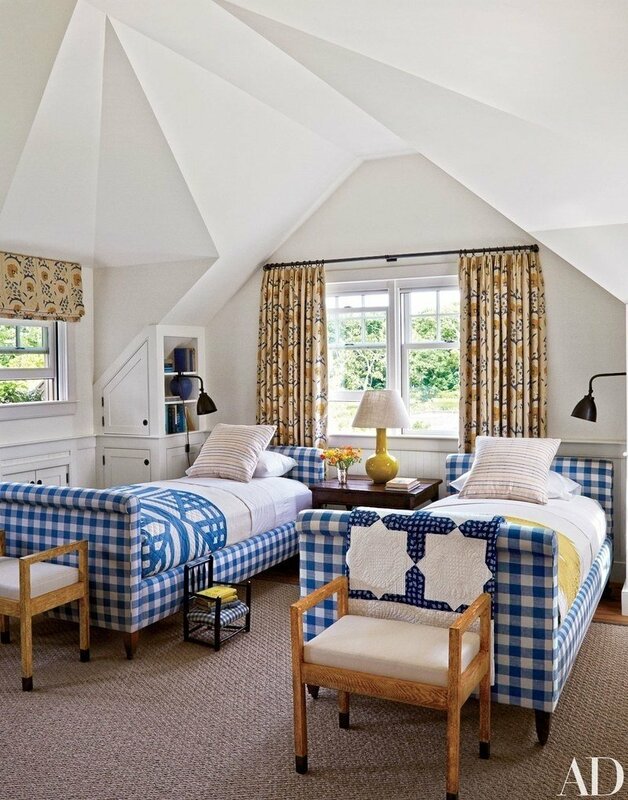 This Martha's Vineyard guest room by Mark Cunningham, featuring a matching pair of French blue checked beds, is cozy and sweet—a perfect New England retreat after a long day at the beach. 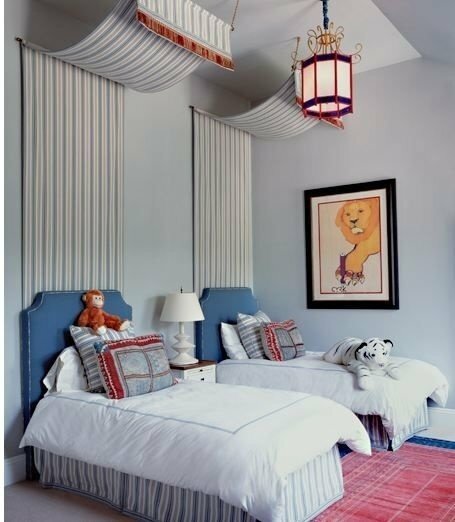 This playful kids' bedroom, designed by KLC Studio, is anything but juvenile. These tented twins steal the show with their matching striped baldacchinos. 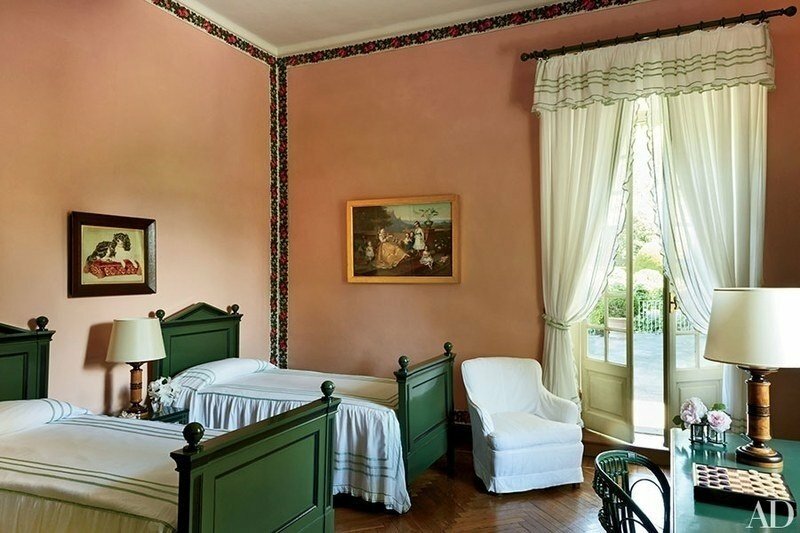 In the children's wing of this family estate in Northern Italy, the twin beds are simple yet romantic, setting the stage for one of the most sophisticated kids' rooms we've ever seen. Our Modern Wingback Bed is so handsome in a twin size. 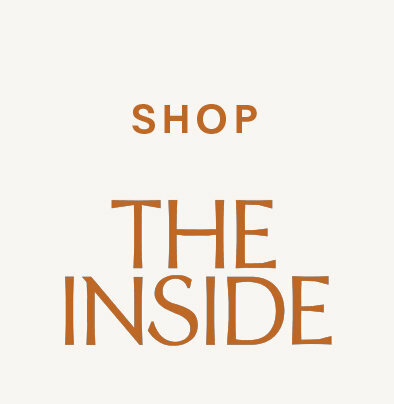 And the Citrine Cabana Stripe offers the perfect burst of eye-popping color. 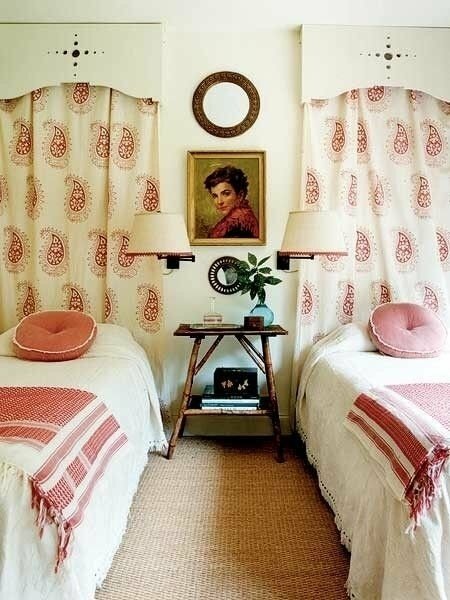 In this Normandy guest room, textile designer Dominique Kieffer outfits a quaint twin with a sunny quilt. We love the pop of yellow against the dusty purple back drop. 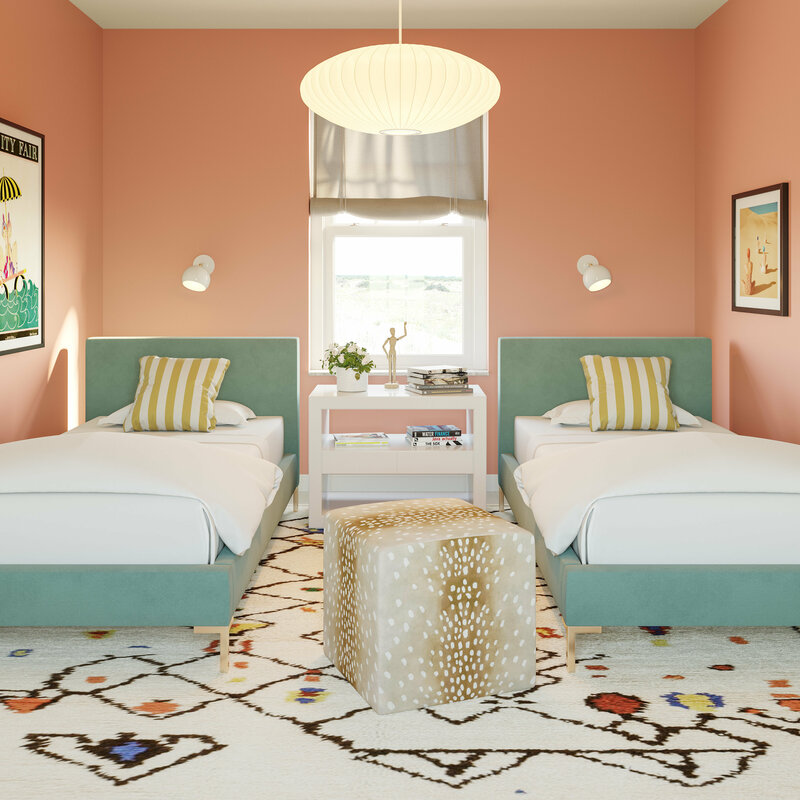 For her daughter's room, design darling Beata Heuman drew inspiration from the iconic Bemelmans Bar in New York's Carlyle Hotel. 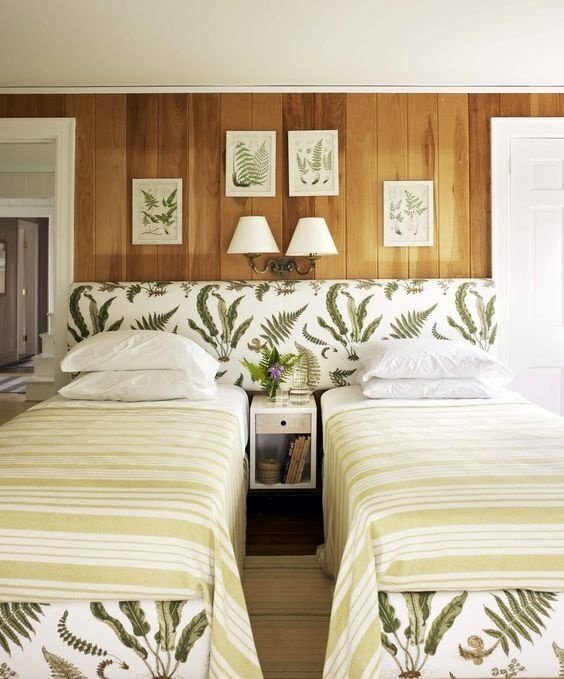 We love how the crisp white bedding ties it all together, perfectly juxtaposing both the mural and printed headboards. We've never met a paisley we didn't like, so naturally we fell in love with this room. The circular box pillows and throw blankets are lovely, along with the fringe on the bedspreads. 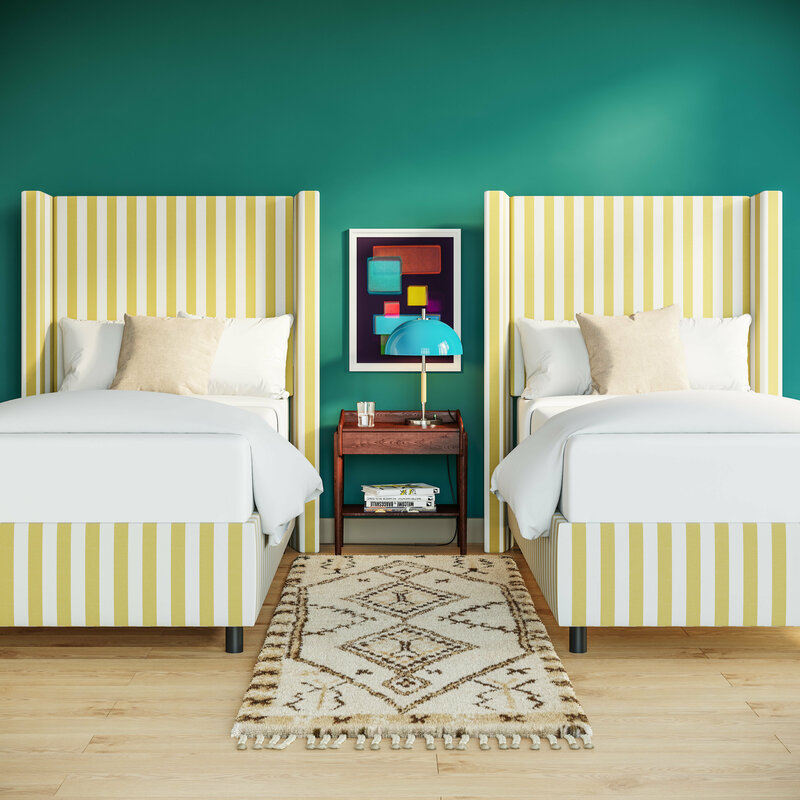 While our Modern Platform Bed boasts a clean minimalism, there's something very fun about personalizing it in one of our candy-colored velvets. 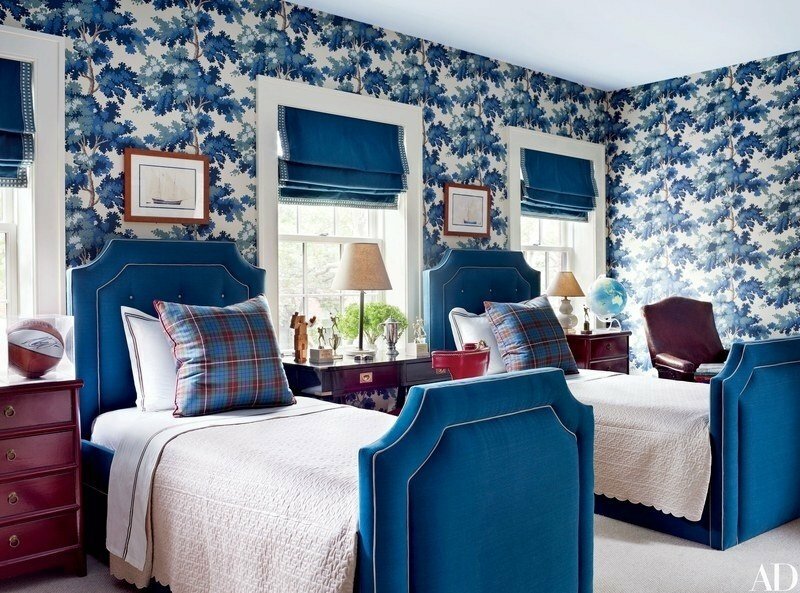 Designer Tom Scheerer loves to create one large headboard for a a pair of twin beds, and we adore this unexpected use of upholstery. Here, the coordinated bed skirts and striped blankets pull it all together.